Nutz4Nutrition: When it comes to you diet it's never too late for a do over! When it comes to you diet it's never too late for a do over! Who hasn’t emotionally beaten themselves up for eating a whole container of Ben and Jerry’s Cookie Dough ice cream? Or what about the whole bag of Lay’s Potato Chips after all there tagline is you can’t eat just one and surprise you can’t! What about that fitness plan that never really got started? Admit it, laying on the couch feels much better that dragging out to the gym. No matter how you slice it, diet and exercise are dirty words. They come with frustration, disappointment, deprivation and one more failure to add to the thousands of failures that make up your life. Who needs that? It almost leaves you powerless and hopeless for a solution. Your only recourse is to give up. Sound familiar? Here’s something new to consider. You have created our life, your relationships and your life’s work one minute at a time. Every thought, decision and action moves you closer or further away from what you are seeking to achieve. Happiness, fame and fortune. At least that’s what they say. Yes some things in life happen to us however we make lots of things happen too. The same is true with your health. Yes, you are born with familial tendencies, heredity and genetics however you have a lot to do with your health too. With every bite of food, every minute of missed of sleep, water we forgot to drink, step you missed and every stress filled thought, you are creating your own health picture. So what does your health picture look like and what will it look like in the future? There are some things about health everybody knows so let’s start there. 1. Experts agree just because you are not sick right this minute does not mean you are not brewing up a disease inside your body. Heart disease, high blood pressure, diabetes, cancer and the like are called chronic diseases because they happen over a long time sometimes as long as 10 years before symptoms appear and you know it. 2. Everybody knows if you are overweight you are more likely to develop a chronic disease. Some experts say this is not so much the weight that causes this increased disease risk but the choices you make that result in the weight gain. Experts disagree on the numbers of adults with chronic disease the range being somewhere around 50 – 80% but all agree it is poor nutrition, lack of exercise, too much stress, tobacco and alcohol use are the main contributing factors. 3. Everybody knows what to do to eat and live healthier, or at least have a general idea. Pretty much everybody has trouble doing it. We all know this because according to the Centers for Disease Prevention (www.cdc.gov) more than one-third (34.9% or 78.6 million) of U.S. adults are obese. That’s more than any other time in history. Let's call for a reboot do over. It’s never too late to learn from your failures and start over making healthier choices. All you need is more understanding of what goes into making healthier choices, a solid plan and a support system. Learn something new every day about your decision making. Choosing to drink a calorie loaded chocolate caramel coffee does not make you bad, wrong or a failure. It just means is your plan is not working. Instead evaluate how you came to make that decision, what the payoff is and what the long term consequences are. Remember what your WHY is then adjust your plan. Make a firm commitment to your health. A real commitment. The kind where you are all in. No matter what it takes, never giving up kind of commitment. I think this is the hardest part. It takes time and energy to stay committed. This level of commitment may require some hard changes. Giving up some things, foods, activities you love like watching TV then replacing them with foods and activities you don’t really like at first like eating more fruits and vegetables and spending time on physical activity. In some cases you may even consider changing your friend group. Making friends who want to be healthy just like you and support you in your healthy choices. A firm commitment is what brings you success, it’s the stuff great people are made of. It’s the WHY of what you are doing. Understand your personality. According to Thomas R. Przybeck, PhD assistant professor of psychiatry at Washington University School of Medicine who published a recent study on the topic of personality and diet it’s important to know your tendencies so you can tailor your plan accordingly. This is your support system. Knowing what and who you need to support you is critical to your success. Dr. Przybeck PhD has narrowed it down to five personality types. 1. Impulsive. If you have a tendency to be impulsive you need to remove all foods from your home or office that may tempt you from your healthy eating goals and replace them with healthier options. If it’s the TV that’s keeping you from your activity or sleep goals then one strategy might be to not turn on the TV. 2. Oblivious. If you tend to not pay attention to what you eat a good idea would be to weigh and measure your portion sizes before you eat and keep a food diary. The USDA website is a good place to start www.choosemyplate.gov. A restaurant strategy would be to ask the server before serving you to divide your meal in half put one half in a to-go container and serve you the rest. 4. Tenacious. This personality finds it easy to lose weight and stay on a healthy living plan because they are self-directed, cooperative and have a strong since of commitment. If this is you look for other people who are motivated just like you. 5. Sociable. If you are good at monitoring your food intake, like keeping a food diary Przybeck would classify you as a social personality. When it comes to exercise we will find you at the gym with your exercise buddy. Reboot do over. Success comes from starting and restarting over and over again until you find a plan that works for you. 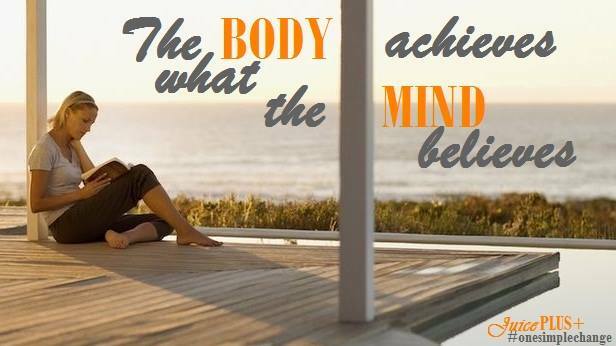 Once you know why you are building your healthy life you will know what to do to make it happen. If you are unsure seek the help and support of a certified health coach, dietitian or qualified medical professional to help guide you towards a solid healthy life plan. Your plan may need some modifications, tweaking over time and sometimes even an overhaul. After all life happens with all the upsets. That’s ok. When you are ready, take a deep breath, have a moment of silence to be grateful for what you do have, recommit then call for a reboot do over! We’ll all be there cheering you on.